The delicious promotional Signature Chocolate Business Card melts the most discerning chocolate critic’s heart. This is a fresh, innovative way of eating chocolate and handing out your business information. Introducing the customised Signature Chocolate Business Card. It’s not just a chocolate treat, but it’s also your way to gain access into prospective business associates. Take the usual business card to the next level by transforming it into a creative chocolate version. 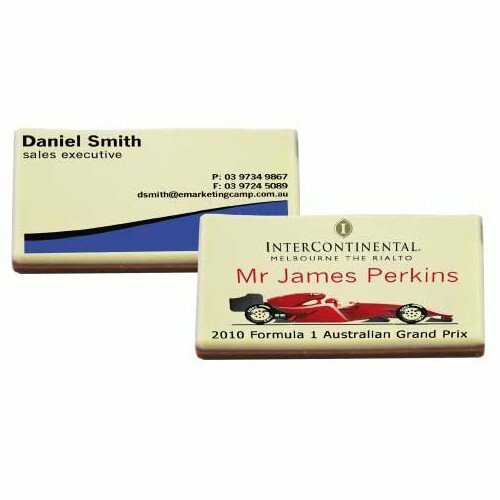 The personalised Signature Chocolate Business Card is a 23 gram treat, where the top layer is made of white chocolate and the bottom layer will be made from your choice of either milk or dark Belgian chocolate. Each piece of chocolate is 85 mm in width, 50 mm in height and 5 mm in depth. It is individually wrapped in a cellophane bag for a hassle-free time giving them away. 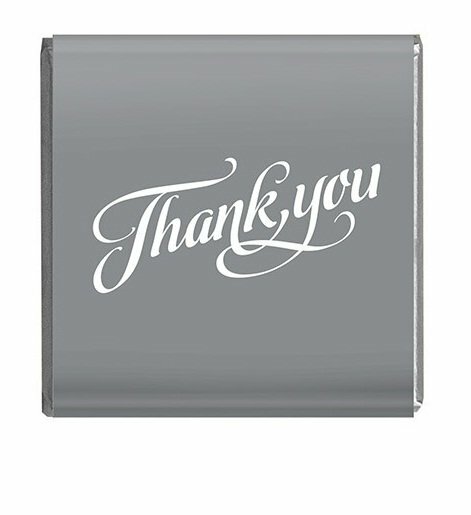 What makes the printed Signature Chocolate Business Card stand out from the rest is the unique design that can be printed right on the white chocolate layer. The design will be printed in full colour and can either mimic your actual business card or have a creative design that’s specifically for this product. The possibilities are absolutely endless. The size of design is 82 mm in width and 47 mm in height. We highly suggest that you look at the rest of our products in our catalogue. 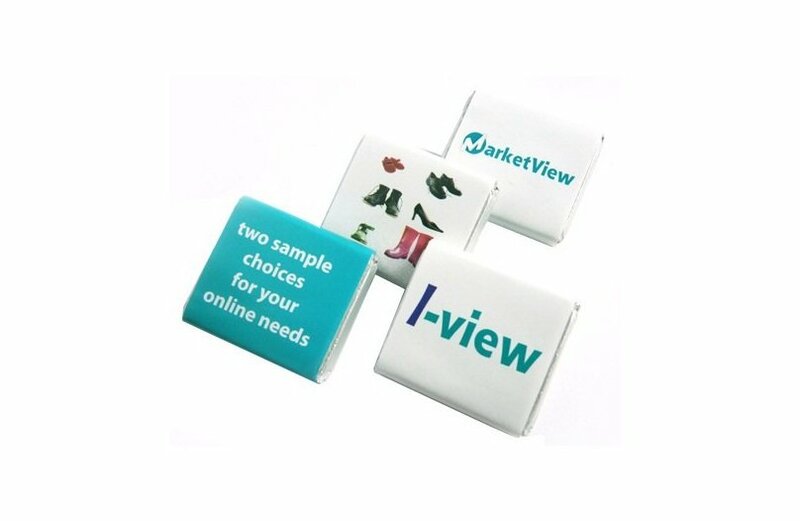 Our branded Novelty Chocolates are perfect if you’re looking for more quirky gift items for your next promotion. Make sure you take a look at the fun products under the novelty category like the advertising Mouse Dark Chocolate and the Oscar the Owl Marble Chocolate for a quirky approach to your company branding. 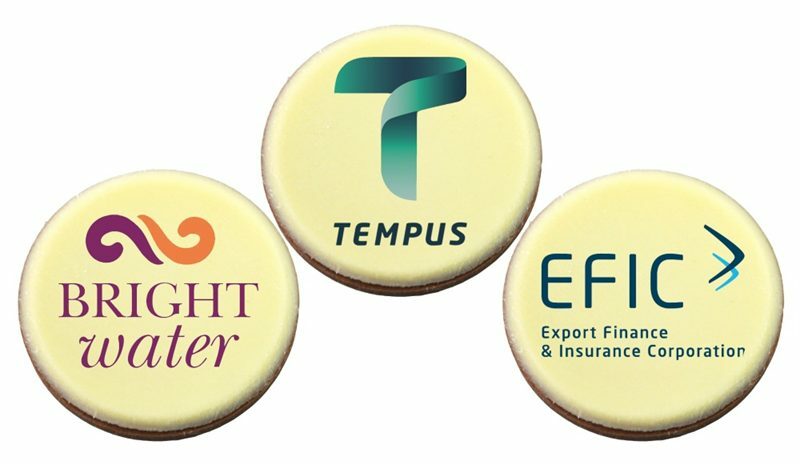 If you also would like to mix and match your confectionery treats with some gorgeous colour matched head wear, then please check out our complete range of promotional caps at Fast Caps. These will really make your confectionery treats even more delicious. Perhaps start your search with our custom Cotton Twill Cap. Our lines are open for your calls, so in case you have any questions, don’t hesitate to drop us a line. Dial 1300 008 300, or send us a message using our chat application.